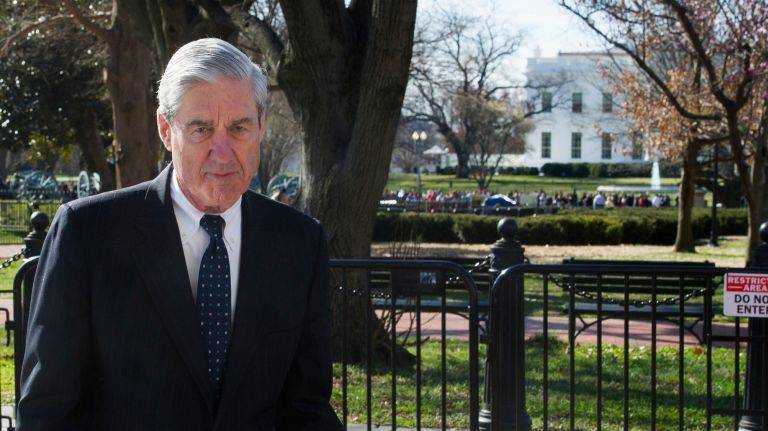 The long-awaited report submitted last Friday by Special Counsel Robert Mueller, which covers his nearly two-year investigation into ties between Donald Trump's campaign and Russian agents who worked to influence the 2016 election, has caused a frenzy in Washington. Though it is not news now, Attorney General William Barr released a short summary of the report to lawmakers on Sunday, quoting that Mueller's findings, "did not establish that members of the Trump Campaign conspired or coordinated with the Russian government in its election interference activities." The summary also addressed a point of Mueller's investigation which was not so clear, that of President Trump engaging in obstruction of justice. Barr again quoted the report that Mueller, "did not draw a conclusion - one way or the other – as to whether the examined conduct constituted obstruction." Barr's summary further states that the evidence, "leaves unresolved what the Special Counsel views as 'difficult issues' of law and fact concerning whether the President's actions and intent could be viewed as obstruction ... while this report does not conclude that the President committed a crime, it also does not exonerate him.'" For President Trump, this is the political victory he has been waiting for, as the Russia investigation has hounded his presidency since the start. He proclaimed the following on Twitter after Barr's summary was made public: "No Collusion, No Obstruction, Complete and Total EXONERATION. KEEP AMERICA GREAT!" On the other hand, Barr also provided that Mueller found clear evidence of hacking and disinformation campaigns by Russians to sow discord during the election. Trump has made it clear that he trusts someone like Russian President Vladimir Putin, and has refused to seriously challenge him on these activities. Trump's declaration has deigned invigorated attacks on the "fake news media," which outlets like the New York Times and CNN are unequivocally units of to him and his supporters. However, this is one part of what constitutes a two-part problem. That other part is whether both sides of the debate are already jumping the gun, without members of Congress, or the rest of us for that matter, being able to read and digest Mueller's report. The issue of making it public has been taken up by Democrats, to the point that House committee chairs have demanded that Barr release the full report by next Tuesday. Regardless, that Mueller is stated as relating that his investigation into obstruction was inconclusive and does not clear the President should tell us that there is more to it. A significant part of the equation is missing, which means that coming to a final answer in support of or against either Trump or Mueller's conduct is premature. Barr's general conclusions have further sicced the anti-liberal pundits on the "mainstream media" as a whole for its coverage of the investigation. This was perhaps a foregone result, though this writer would argue it is unwarranted. Some pressers may seem resigned on the idea that Mueller's judgement on collusion can be an end-all, and tacitly acknowledge that the obstruction issue is unresolved. Democrats, as well as some Republicans, have been interested in further scrutiny of the evidence, despite Senate Majority Leader Mitch McConnell (R-KY) blocking a unanimous resolution by the House of Representatives to release the report. Not having it made available as a whole gives the rest of us, including the press, ample room to speculate that some damaging element is being hidden. President Trump, Attorney General Barr and everyone in Congress should consider that prospect. However, the Justice Department has legal considerations with regard to the disclosure and redaction of testimony, at least according to the summary. The media still has an obligation to follow these developments, and not give the cynics a sense of empowerment. The fleshing out of Mueller's findings will now have to be on a day-by-day basis. Nothing has been guaranteed, and it is up to us and our representatives to do some of the critical reading and listening. The positions taken since, like you state, without full knowledge confirms the media didn't pursue news but an agenda that served their interests, not that of news reporting so the citizen can analyze and make a decision. Is speculation fact? NO. Is we don't know a fact. Yes. Speculation will not present all the possible scenarios. Only the ones that fit the predetermined narrative. If media reports news based on what is known, they wouldn't have to try and defend their agendas and I can decide what the facts are.